In statistics published by China's Ministry of Commerce 40% of China's carbon monoxide emissions come from cars. The country has become the world's largest car market with over 500 million vehicles on Chinese roads. This is without a doubt a detriment to the peoples' health and the environment. The issue is, as so often it can be, trying to facilitate change in communities. 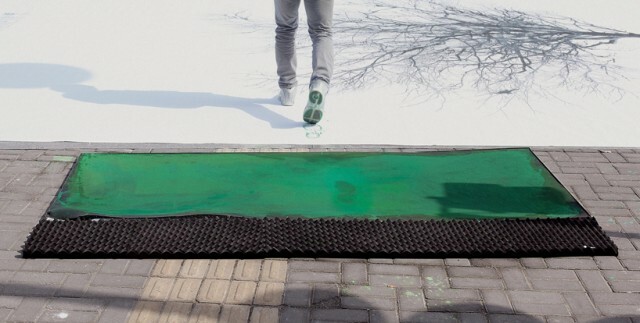 In a push to get people out and walking, doing 'their' bit for the environment the China Environment Protection Foundation created an interactive outdoor advertisement. 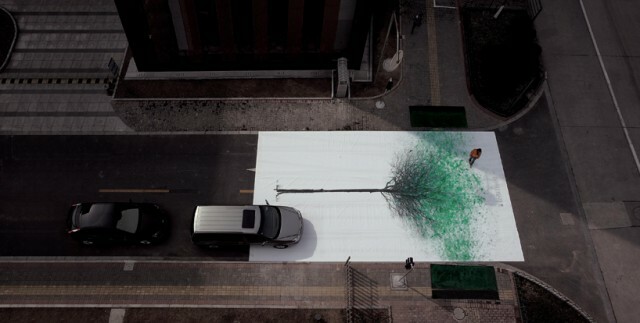 In a campaign to raise awareness for the environment and encourage people to walk rather than drive they laid a giant canvas (12.6m x 7m) at an intersection of two busy streets. Then at either side of the pedestrian crossing sponge cushions were installed, soaked in green environmentally friendly washable, quick dry paint. Pedestrians could walk towards the crossing and choose to step onto the green sponges, coating the soles of their feet with plaint. 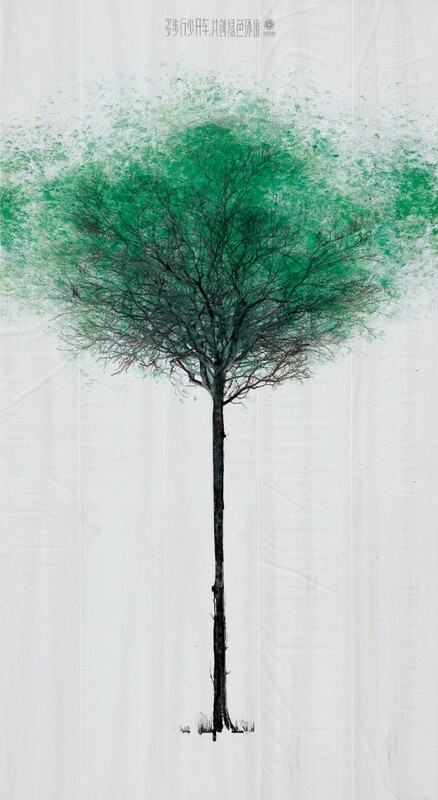 When they walked across the road their foot imprints would create green leaves, each green footprint added to the canvas like leaves growing on a bare tree. 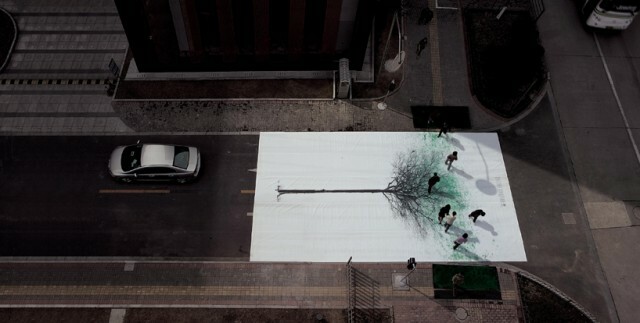 These enormous white canvases with a bare tree were placed across a total of 132 crosswalks throughout 15 Chinese cities. BBD estimated that just over 3.9 million people passed over the installations, and the final posters were then hung has billboards in numerous urban locations.